Do you want Space for Cycling in your area of Haringey? Local volunteers identified a vital local measure that would help create safe Space for Cycling in every one of London’s 624 electoral wards – including the one where you live. Councils control 95% of London’s streets, giving them power to create safe Space for Cycling in every neighbourhood. The local elections in May 2014 are a golden opportunity to make sure the people who represent us hear our message. 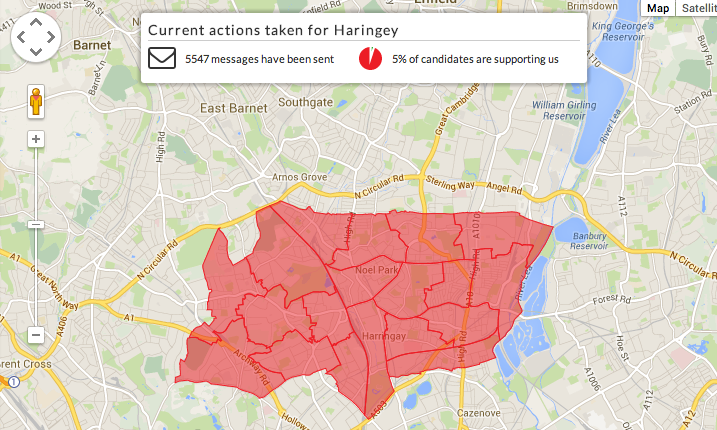 CLICK HERE to see what we’re asking for in Haringey and TAKE ACTION!